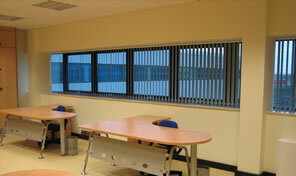 Wyatt’s Tracks and Blinds offer a wide range of commercial blinds and window applications to suit any professional environment. At Wyatt’s Tracks and Blinds, we work across both the private and public sectors. We provide many Government Departments, local councils,schools, colleges, offices, factories and hospitals with a wide range of blinds and window films. 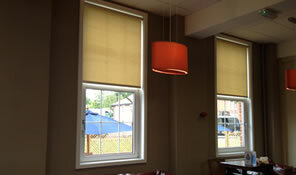 We are also very active in the private sector – we supply and install blinds for some of the most prestigious companies. We understand the needs of the commercial customer. We can manage extensive supply contracts for companies who need a service delivered on time under an agreed pricing arrangement. Further, we ensure we service you with minimal disruption to your activities. Our professional installers will carry out the work with minimal fuss and mess. We can also service and repair and carry out any maintenance work required outside your normal working hours by arrangement. 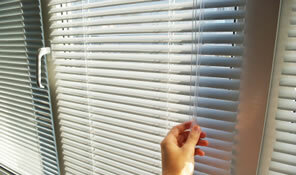 Plus our extensive range of quality products means we can repair or replace most existing blinds. With Wyatt’s Tracks and Blinds, you will be assured of having the optimal window solution combined with the service that a commercial enterprise like yours requires. We are dedicated to supporting your commercial needs. The majority of our Blinds are manufactured by us in our manufacturing Plant in Southampton so we can Tailor make every Blind to perfectly fit and suit your requirements and budget constraints.Because they are made by us we can assure you of the Quality of our products. Wyatt’s Tracks and Blinds we work with customers throughout the south including Southampton, Winchester, Basingstoke, Andover, Romsey, Eastleigh, Bournemouth, Poole, Christchurch, Hampshire Wiltshire, Dorset, Berkshire and beyond.